The reigning Eurocup champion Valencia Basket eased into the quarterfinals, crushing FC Bayern Munich on the road 60-94 in Game 2 of their two-game eighthfinals series on Wednesday. Valencia swept the series by aggregate scorer 174-118, and next faces Khimki Moscow Region. 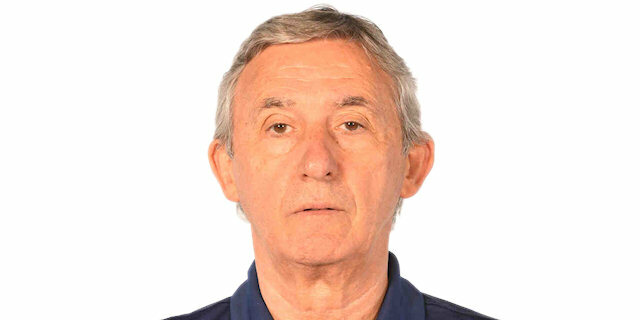 Valencia opened a double-digit margin in the opening five minutes, and never looked back, hitting 12 of 24 triples and with four players finishing in double figures – Bojan Dubljevic amassed 16 points and 10 rebounds in only 22 minutes, Pablo Aguilar scored 14, Pau Ribas netted 13, and Nemanja Nedovic 11 points in victory. Anton Gavle had 14 points for the hosts, Paul Zipser added 13 points, 7 rebounds and 4 steals, while John Brant finished with 11 in defeat. Valencia took control from the start. Sam Van Rossom and Aguilar each hit a three in the opening couple minutes, and Aguilar added a pair of layups for 6-10. A fastbreak dunk from Aguilar and a put-back from Dubljevic extended it to 6-16. Gavel strung together a triple and a layup for the hosts, but Ribas nailed a three-pointer, and Nedovic followed it with a wide-open corner triple for 11-24. 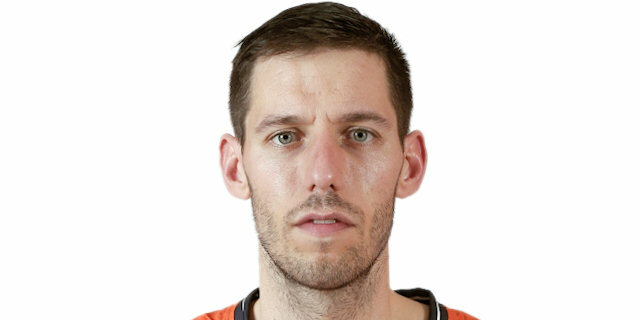 Bayern's forwards Zipser and Dusko Savanovic traded baskets with Valencia's big man Kreso Loncar, before free throws from Savanovic got Bayern within 20-28 at the end of the first quarter. Scoring slowed down in the second quarter, but after Gavel scored a tough layup for the hosts, Van Rossom and Vladimir Lucic hit back-to-back from downtown for Valencia and 24-38. A three-pointer from Guillem Vives and four points from Dubljevic made it 27-45, meaning Valencia was in complete command, leading on aggregate by 41 points. Vasilije Micic buried a three-pointer for the hosts, but Valencia did not allow much more than that rest of the quarter, while Dubljevic hit a triple of his own, helping the visitors to 31-50 halftime lead. After the break, Valencia did not allow a basket for 2:30 while Dubljevic scored from close range and long range for 31-57. Bryant ended Bayern's drought, and Gavel and Bryce Taylor had layups, but Ribas and Dubljevic kept the margin at 39-64. Romain Sato banked in a shot and Loncar had a layup for 41-70 after three quarters. Zipser opened the final quarter with a basket-plus-foul, but Nedovic and Lucic extended the margin, before Ribas and Aguilar each nailed a three-pointer for 46-84 with 5 minutes left in the game. In the remaining time, margin reached 39 points before Gavel's triple and Bryant's put-back added to Bayern's tally. Bryant also hit a jumper and Zipser drove for a layup that cut the margin just a little bit before the final buzzer. "There is only one reason for the loss, and that is the class. Everyone who knows basketball saw that it was two different classes of basketball teams tonight. Valencia has a different level of team than our team. You can talk about defense and offense, we tried everything we could to stop them. We wanted to do more in this game. We knew that we were 22 points down before the game, but you are a sportsman and you dream. But they started like a machine - defense, offense, fast break, three points. It was a classy performance by Valencia. In our gym, I haven’t seen a better team than Valencia." "For my team, every win is important. I don’t know if it was perfect basketball but we were close to playing perfectly. I am happy with my team but the next game is against Khimki. And that is like another final for us. The key for me was defense. The team played really good defense and pressured the ball." "We played very serious from the beginning. Okay, we won the first game by 22 points but we knew that if we went down by 10 points in the first half that things could get complicated. We were very concentrated and played good offense from the beginning. Defense we played strong and that made it easy for us to finish off the game after going ahead by 10 points in the first quarter."